I’m going to let you guys in on a horribly kept secret. I did not grow up on a farm. Some of you probably know this already because I don’t actually keep that secret, but whatever. 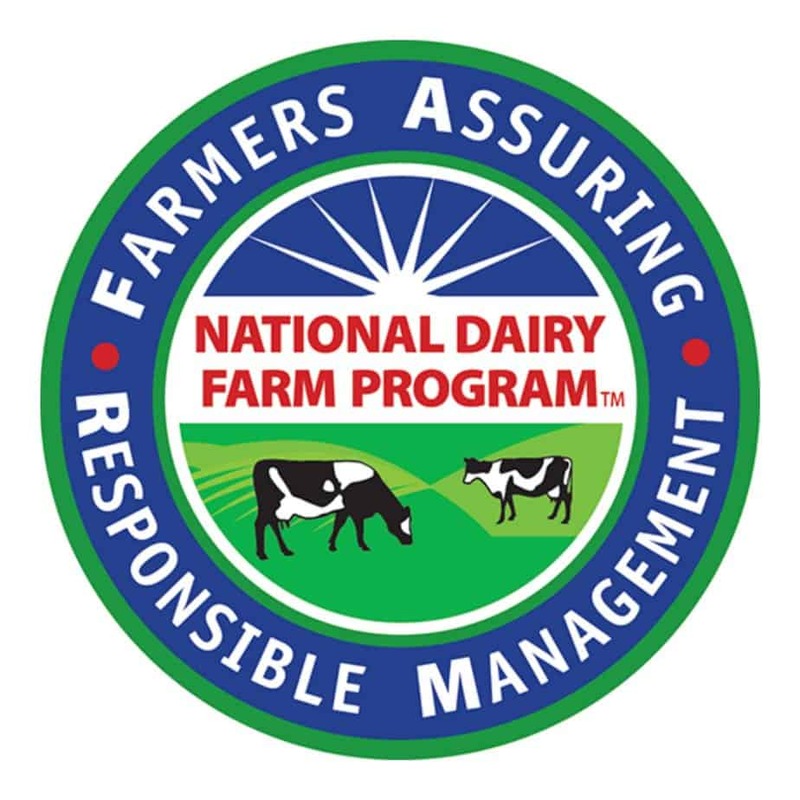 Not only did I not grow up on a farm, honestly my only solid connection to the dairy industry is that I grew up just off Rimrock Rd in Madison, WI. 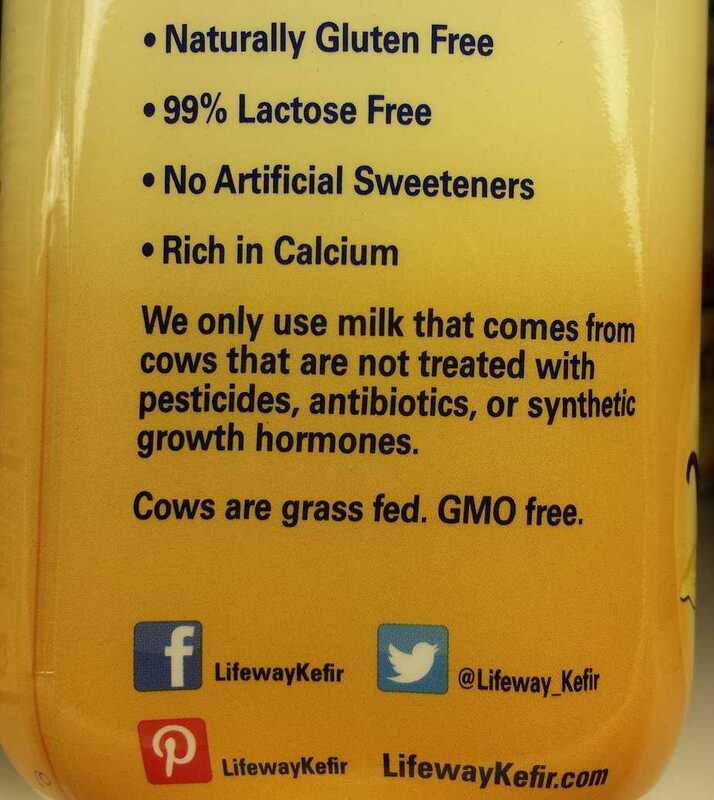 Why does the road I grew up on have anything to do with dairy? Simple, it’s the same road that the Veterans Memorial Coliseum aka Alliant Energy Center aka World Dairy Expo grounds are on. Life is full of weird coincidences I guess. 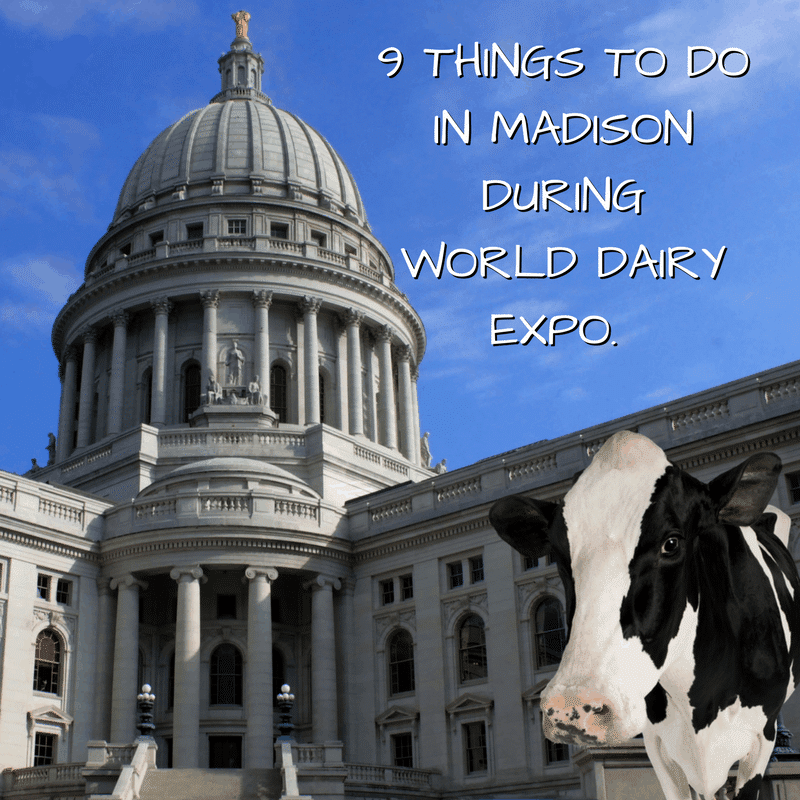 Every year I have people message me or I see conversations online about what people should do or where people should eat while they are visiting Madison for World Dairy Expo. Every year I think I should utilize my deep knowledge of all things Madison to make a guide. It only took 6 years for me to get around to doing this so without further waiting… here you go! 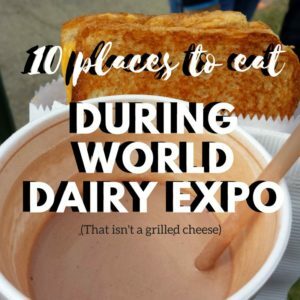 10 places to eat while you are in Madison for World Dairy Expo! I will follow this post up with another that looks at things to do while you’re in Madison. 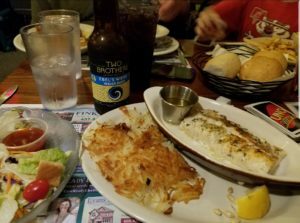 There are the usual places; The Old Fashioned, Great Dane Brewery, Tornado Steak House, Nitty Gritty, Dotty Dumplings, ect which are all very good, and will be crowd pleasers but there are so many more options in Madison, I have to share some you may not have heard of. Glass Nickle Pizza– You’re back to your hotel and you’re tired. You’re in delivery zone of several pizza places, I suggest utilizing that since we all know, delivery pizza isn’t a thing on farms. My personal favorite Madison pizza place is Glass Nickle Pizza. They have several locations around the Madison area so you’re sure to be in their delivery area or a quick drive for eat in or carry out. Their pizza is amazing and their calzones are massive. Essen Haus– Essen Haus is a great German restaurant and bar and it’s fun for adults and still appropriate for families (minus Das Boot.) It’s located kitty corner to the Monona Terrace, downtown. If you’re visiting with kids, try the Kase Spatzle (German Mac n Cheese). Going with adults? I suggest beer. Essen Haus has lots of good beers on tap and in bottles. You don’t have to drink an entire boot full but it IS a very Madison thing to do. Ella’s Deli– If you are travelling to Madison with kids, you should make sure Ella’s Deli is on your list. They offer typical kosher deli fare but the food truly isn’t the reason to stop. Not only do they have amazing ice cream sundaes complete with grilled pound cake, the entire place is basically a 9 year old’s dream of what a restaurant should look like. Every inch of space is covered with something fun to watch or do. There is also a working carousel in the parking lot but I am not positive that it will be open during Expo. UPDATE- Ella’s is now closed. Tex Tubbs Taco Palace– Tex Tubbs is a casual near east side establishment does tacos and margaritas very, very well. They also have a salsa bar. Who doesn’t love a salsa bar? Oh and you can get a margarita flight there, because that’s a thing they do. Graze– The sister restaurant to L’etoile the fanciest restaurant we’ve got in Madison, Graze benefits from all the culinary mastery of James Beard award winning chef Tory Miller, without being super fancy or needing a second mortgage to pay the tab. Enjoy a relaxed meal on the capitol square, have a Korbel Old Fashion- Sweet and select some cheese to try from their extensive list. Fat Jack’s– Fat Jack’s is another Madison institution, in fact I’m pretty sure it’s been around longer than I have. 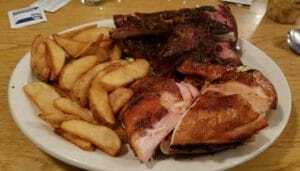 This casual, family friendly BBQ restaurant has awesome hickory smoked chicken and ribs and a decent salad bar. Their prices are wallet friendly and weeknights they offer all you can eat options. Michael’s Frozen Custard… or Culver’s– While Culver’s wins for their food, get yourself a mushroom and swiss butter burger if you haven’t had one, Michael’s has the better custard. I suggest trying them both so you can make your own decision. 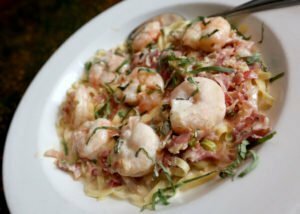 The Green Lantern– A very short drive from Madison will get you dinner on the water. Known for their legendary Friday Night Fish Fry. The Green Lantern has the ambiance you expect of a Wisconsin supper club. Be prepared for a long wait on Friday night but don’t worry you can act like a local and belly up to the bar for some liquid libations until your table is ready. Vin Santo– Vin Santo is a place to go with your love or a small group of people. Fantastic Italian food, with pasta made fresh in house. A meal you won’t be disappointed in. I highly suggest saving room for the tiramisu, it’s perfect! Next Door Brewing– Now I’m going to be honest with you here, I’ve been to every place on this list several times. But I have yet to visit Next Door Brewing. So why am I suggesting you go there? I have two reasons, the first is that their beer is excellent. The second is that one of the owners is the guy who taught me how to breed cows. It’s my fault for not making it in there, I’ve heard rave reviews and I am sure you will love it. 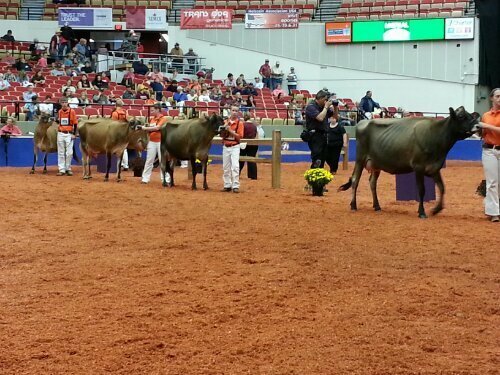 Plus you might be able to get some tips on settling your cows while you dine! Happy Dining! Be sure to add your favorite places in the comments!